A few a weeks ago, I had a booth in San Francisco’s Sustainable Seafood week and got a chance to meet some really excellent people working in the industry. There was one guy in particular who had quite a crowd gathered around his station. 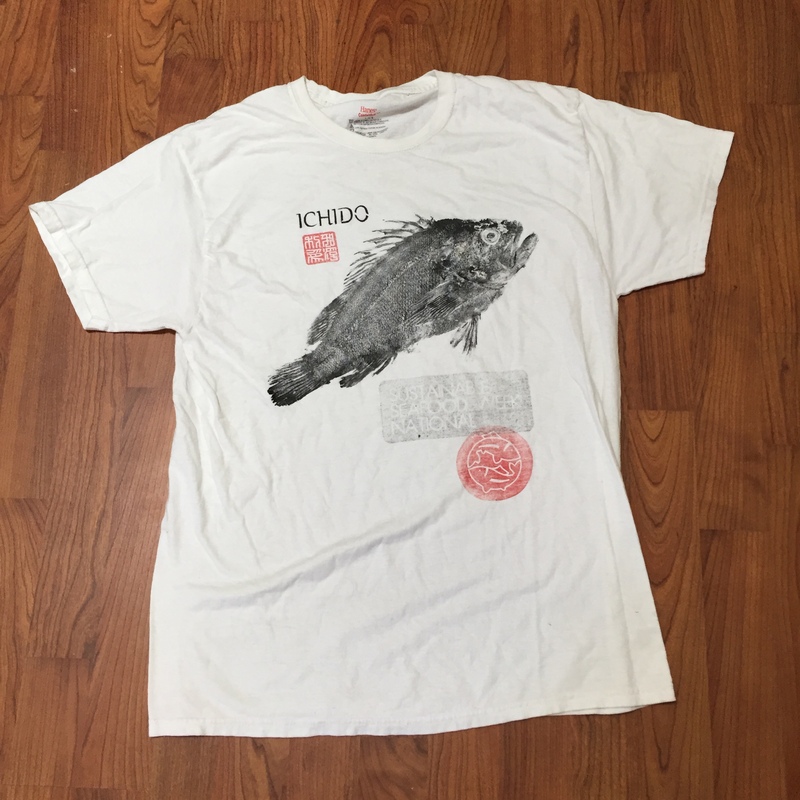 He was making gyotaku prints of a rockfish that he had caught and, very generously, giving these gorgeous t-shirts out to the enthralled crowd. I got a chance to meet up with Geoff and talk a little bit about what he does and it was really clear to me that, here was a guy that was passionate about being a chef, fishing and, above all, sharing what he loves doing with other people that are interested. There is something that is contagious about being around people that are in the flow. A magnetism and power that draws you in because that type of energy can inspire all of us to move closer to what inspires us. 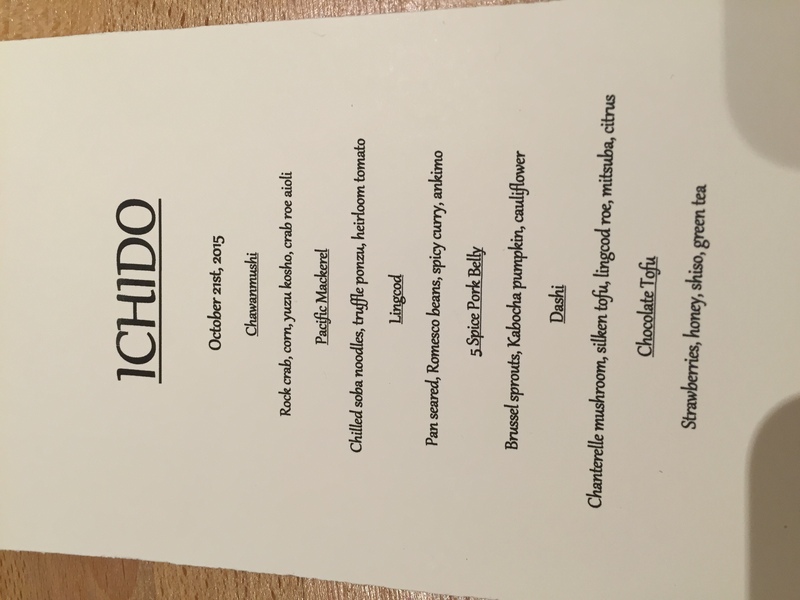 So I was thrilled when Geoff invited me to bring a friend to one of his pop up dinners called Ichido. Ichido means “once” in Japanese. It’s an apt name for Geoff’s project. Like every gyotaku print, every meal is different. Because, Geoff is catching and foraging as much ingredients he can for each meal and drawing inspiration from the ingredients and people at hand, every meal ends up being different. Because Geoff is gathering most of his ingredients from the wild, you are guaranteed of having fish that is fresh. Watching Geoff deftly breaking down fish and firing it for the plate immediately gives one the thrill of knowing where their food comes from and a greater appreciation for how it can be prepared in a way that both honors the fish as well as the guests who will be consuming it. What I appreciated most was Geoff’s sensibility with regard to closing the loop. Not only closing the loop between producer, preparer and consumer but also with regard to using every part – the bones for our fish would be used in a later course for dashi. 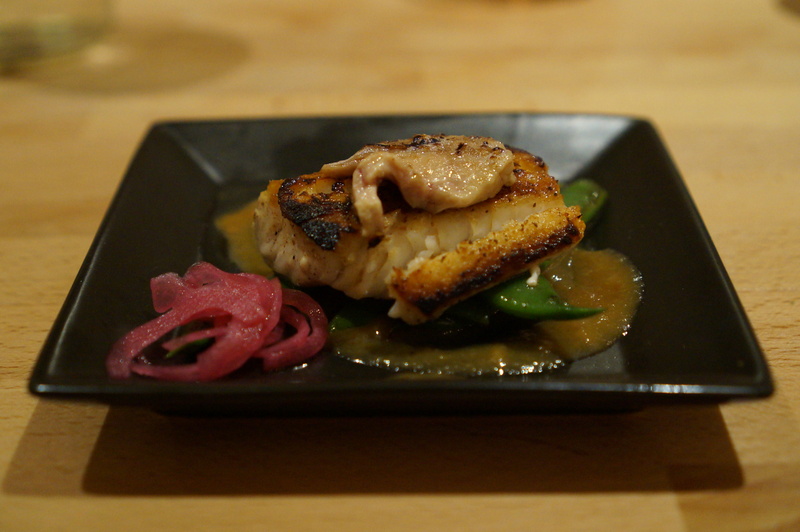 The liver of the lingcod would be turned into a foie gras like morsel. My favorite was where Geoff had removed seaweed from inside the stomach of a lingcod, infused salt with it and then turned around and used that salt to season the lingcod. 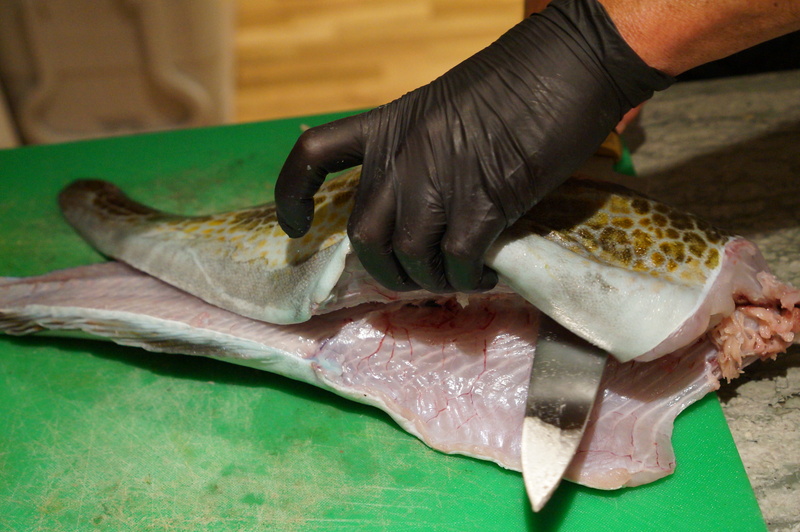 In a sense, flipping the lingcod inside out! Conceptually brilliant, exceptionally executed, I couldn’t have asked for a better way to spend a Wednesday night. 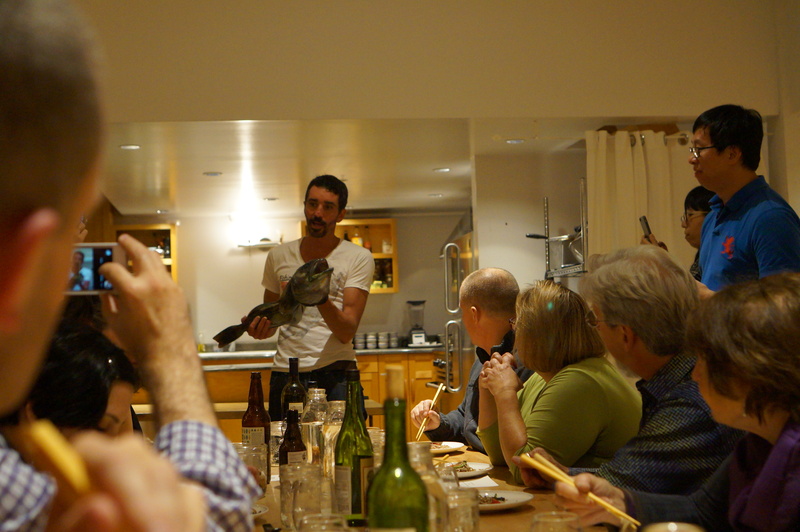 Geoff offers his dinners through Feastly where you get join other intrepid eaters in a pop up restaurant location. It’s a great way to spend time with friends, old and new, eating great food and seeing an exceptional forager, fisherman and chef working his craft. I tried to go to one of his dinners when I was in PG last spring, but I couldn’t work out the timing! Looks so great!